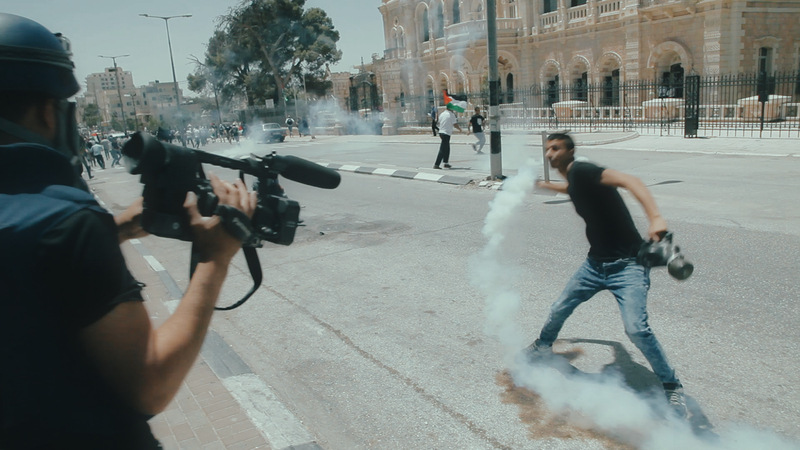 Dallas-based director Michael Rowley tells the stories of two Palestinians from thousands of miles away. For Palestinians, checkpoints, a separation wall, and apartheid are major hurdles that limit their freedom of movement. 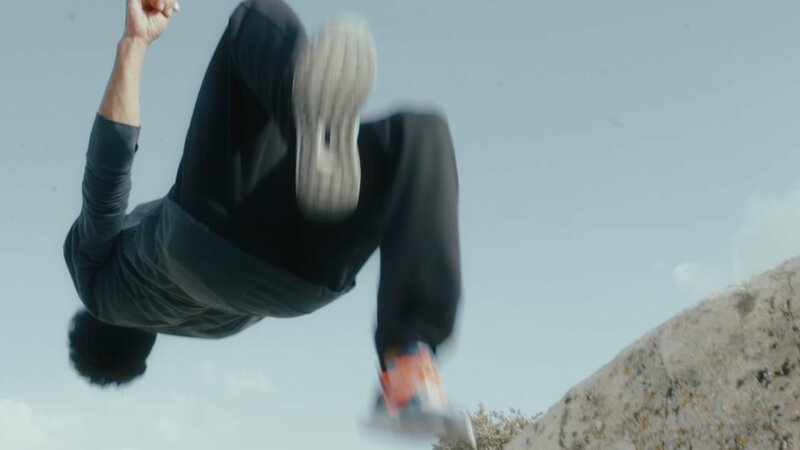 It’s within this context that Dallas-based director Michael Rowley set off to tell the story of two Palestinians: one who teaches parkour in East Jerusalem, and another who documents daily life through photography in the Aida Refugee Camp in the West Bank. Last week, a small audience gathered to watch that movie at the historic Texas Theatre during Austin Film Society’s first Works-In-Progress screening in Dallas. Hurdle follows Mohammad, a photographer who uses his camera as escapism, and Sami, who takes up parkour in a place surrounded by walls. The two men, each on different sides of the separation wall, use their hobbies to navigate under oppression and to push the boundaries of their limited freedoms. Still from Hurdle courtesy of Hurdle Film, LLC. While Rowley is housed in Dallas, the subjects of his directorial debut live thousands of miles away, which casted a shadow of uncertainty on the movie before it began. “There was also a lot of doubt as to whether I could pull this off, but I had enough confidence to take the first step and things just started happening after that,” says Rowley. Once he started the project, Rowley says the film community in the area began championing the movie in a way he hadn’t seen before. His team hit a big break when they were one of three recipients of the $10,000 North Texas Pioneer Film Grant last year — the first AFS grant focused specifically on supporting filmmaking in the region, which is pushing Dallas’ film scene to new heights. That’s the point of the North Texas Pioneer Film Grant: to give filmmakers a boost in their career, which Thielvoldt said he hopes will help make Dallas’ film scene even stronger in the long run. Similarly to Sami and Mohammad in Hurdle, Rowley said Dallas filmmakers also have their own hurdles to jump. While production is complete, the release date for Hurdle has not yet been determined. Rowley hopes it will have an influence that extends beyond the Dallas film scene and influences how viewers think about life in Palestine.